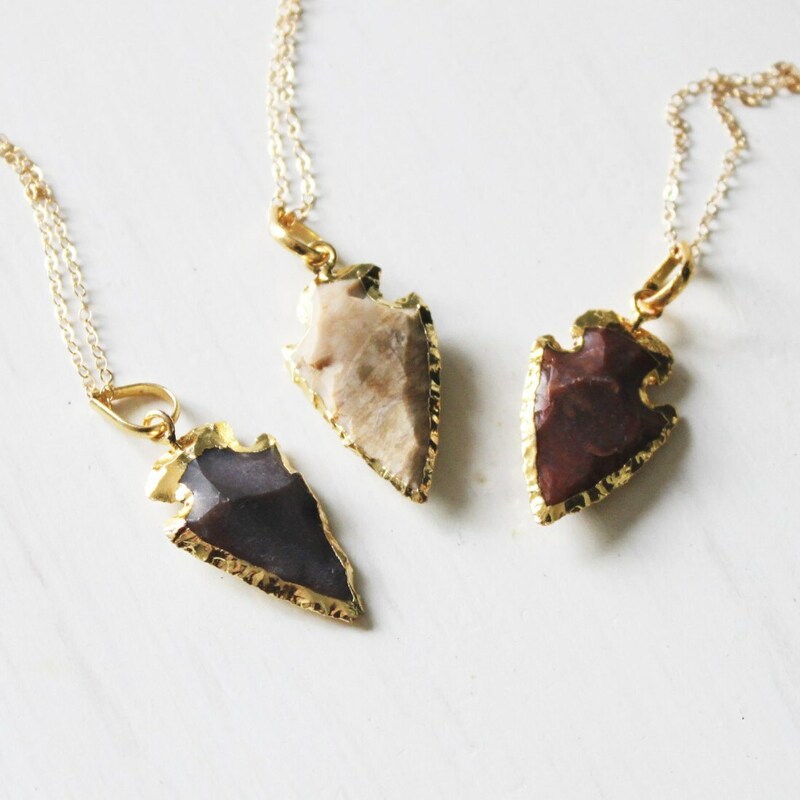 These arrowheads are natural and are perfectly imperfect. They vary in color from gray, rust or taupe. 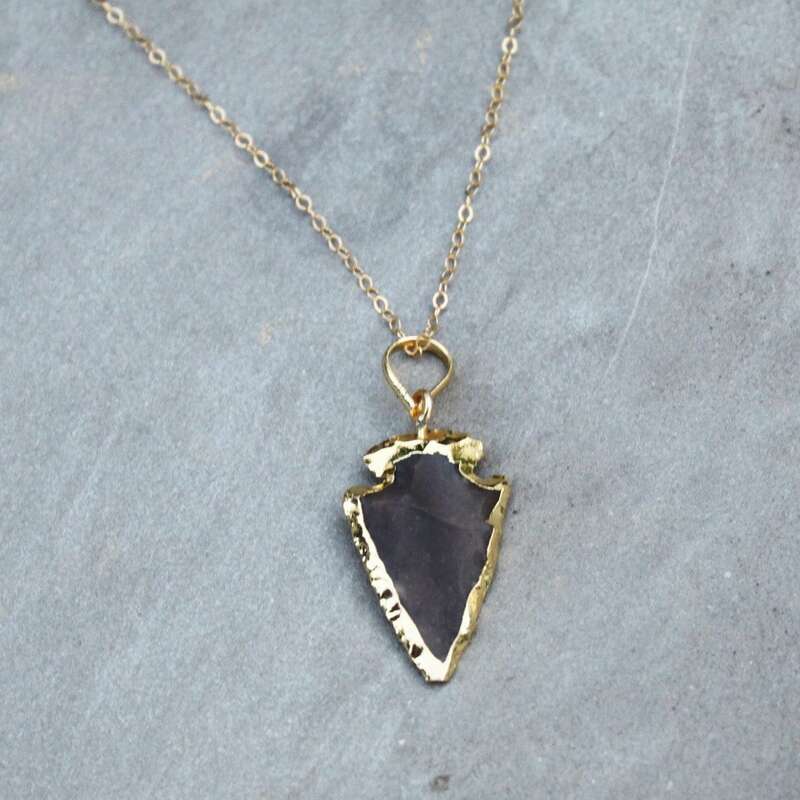 -Graces a 14kt gold filled link necklace. 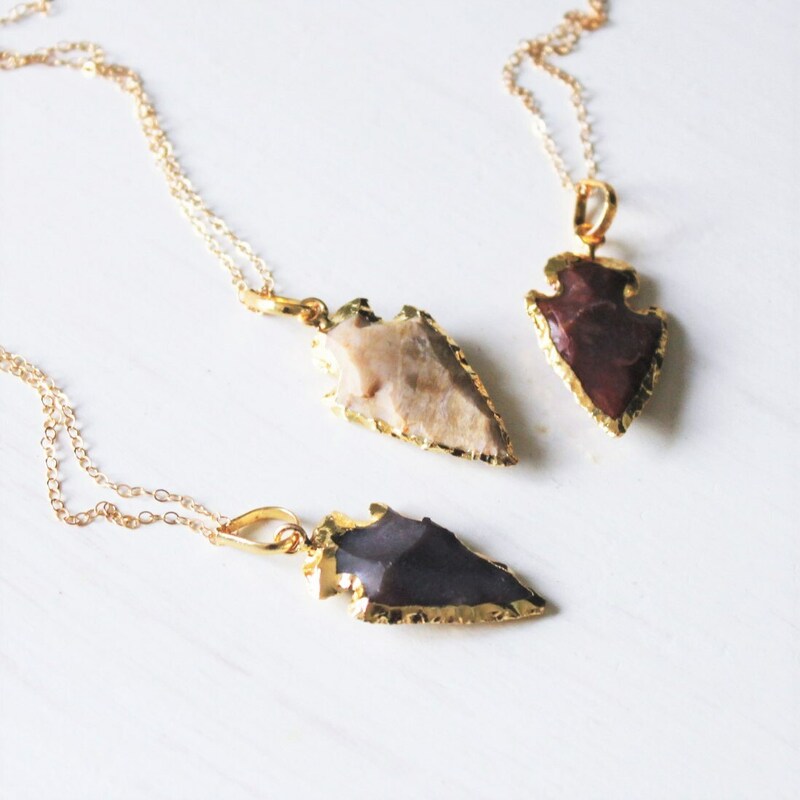 -Wear it layered with you favorite piece or alone. 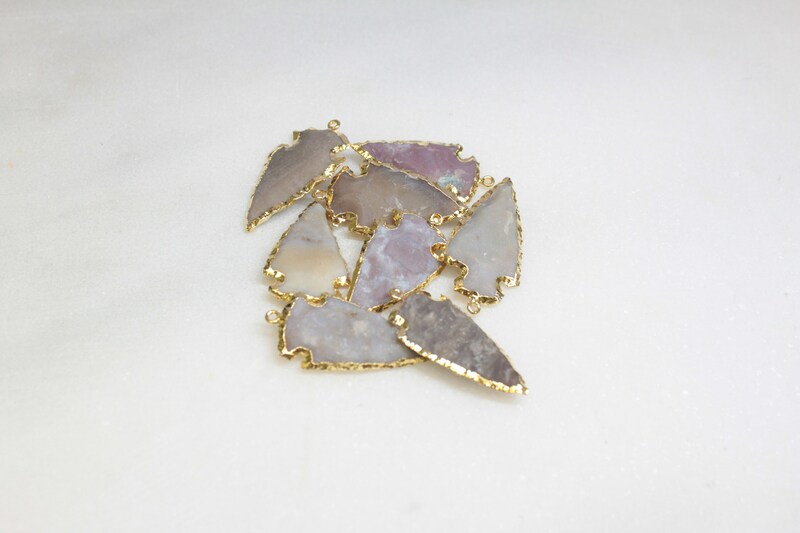 This is for the arrowhead necklace only, please visit our shop for other layering options. - Model is wearing 20" in Photo 4 & 24" in photo 5. I love the length and shape of this necklace. Would purchase more. Super cute! And just in time for the Chiefs game on Sunday!! Absolutely love it! I couldn't rip the package open fast enough to see it. First off, the presentation and the packaging blew me away. Talk about attention to detail, the little cards, the tissue paper, the tiny piece of felt to prevent tarnishing...all these little things were small indications of how special the artist wanted me to feel opening the box. 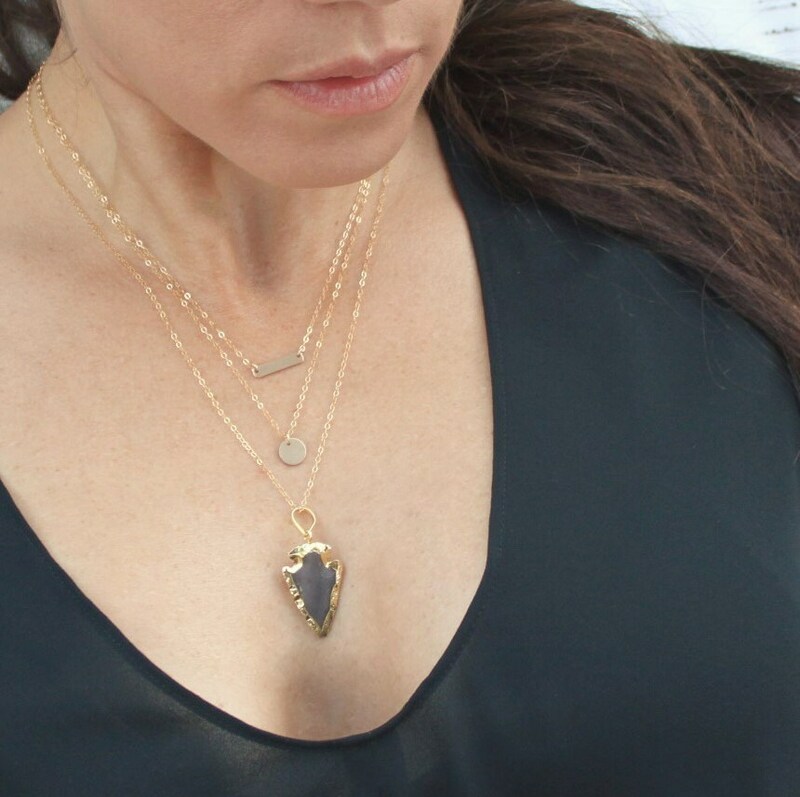 This necklace is stunning in its simplicity! This piece of jewelry far exceeded my expectations. It is beyond gorgeous. It's got a bohemian, edgy feel to it, but somehow the delicate gold chain and the gold trim gives it an air of sophistication. I was very excited to wear it to work today and it layers nicely with other necklaces. Turn around time was great also. I look forward to adding more of this artists pieces to my collection. Thank you! I got this for my friends birthday and she loved it! Delivery went fast and smoothly, the packaging was nice and convenient for me to give to her the way it came! Will be ordering from them again! The necklace was beautiful but within 3 weeks it started to tarnish. I followed care instructions but it still didn’t hold up. So if you’re purchasing this necklace I would keep in mind that longevity isn’t it’s strong suit.